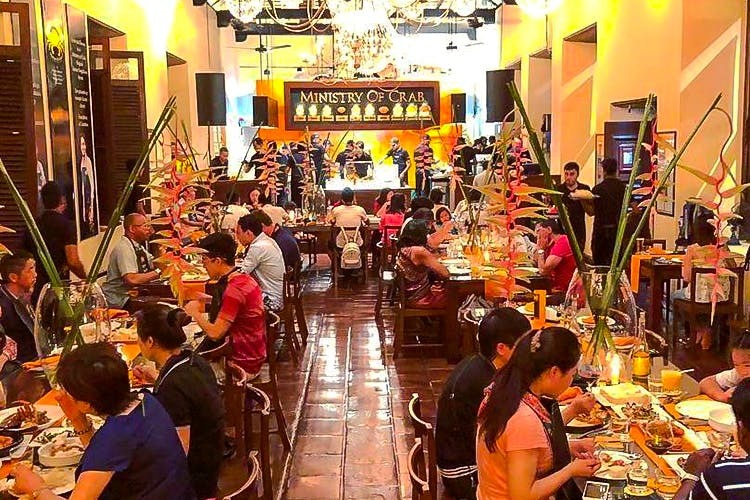 We've got some great news to share - it’s confirmed that the famous Sri Lankan restaurant, Ministry Of Crab, is opening in Mumbai. We’re ready with our bibs because there’s no way we’re missing out on this one.For a while, rumours have been rife about Ministry Of Crab coming to India. And now, we've heard that the eatery, which is led by popular chef Dharshan Munidasa, has joined hands with Gourmet Investments Pvt. Ltd. (the group promoting Pizza Express), and will launch in the city this November. All we know for now is that Khar's been chosen as the lucky location. Paradise for crustacean lovers, Ministry Of Crab is one of Asia’s top 50 restaurants for the last three years. We’re yet to get all the details, but be rest assured, we will be back soon enough with more news.Time to tick this off your bucket list, yes?